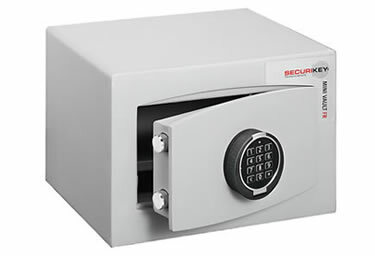 The Mini Vault Gold (Size 0) Fire Resistant Safe is ideal for the safekeeping of documents, valuables and cash. The Mini Vault Gold safe benefits from double-walled construction with fire-resistant barrier material certified to DIN 4102 standards. 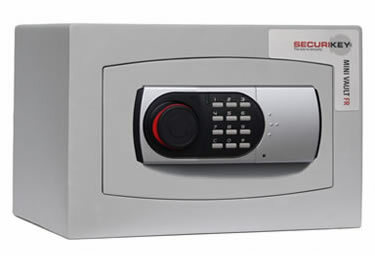 You can choose from key or electronic keypad locking mechanisms. 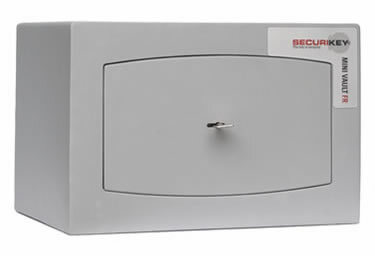 The Securikey Mini Vault has been designed for 21st century living, and is supplied in this stylish durable grey metallic finish which will fit into any home or office environment. The Mini Vault Gold is fire resistant for 30 minutes at temperatures of up to 750 degrees. All Mini Vault models include fixing bolts, batteries and operating instructions.